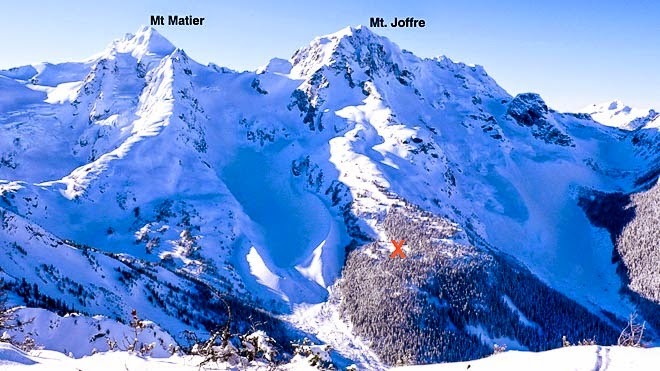 Two skiers head up above the hut towards the Anniversary Glacier. In late summer of 1988 Keith’s Hut was built as a memorial to a young mountaineer, brother, friend, and son. It was built with the momentum that comes with grief at a time when many of the mountaineering clan had unbounded energy and enthusiasm to make change and to inspire mountaineering in a new generation. 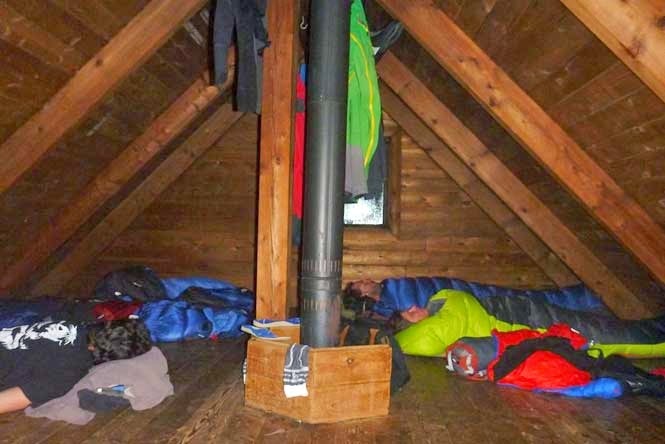 More than a memorial, the hut was built with the intention to welcome the public and future generations into the alpine wilderness and to provide shelter for their adventures. Keith’s Hut in December. By March the snowpack is level with the crossbeam. 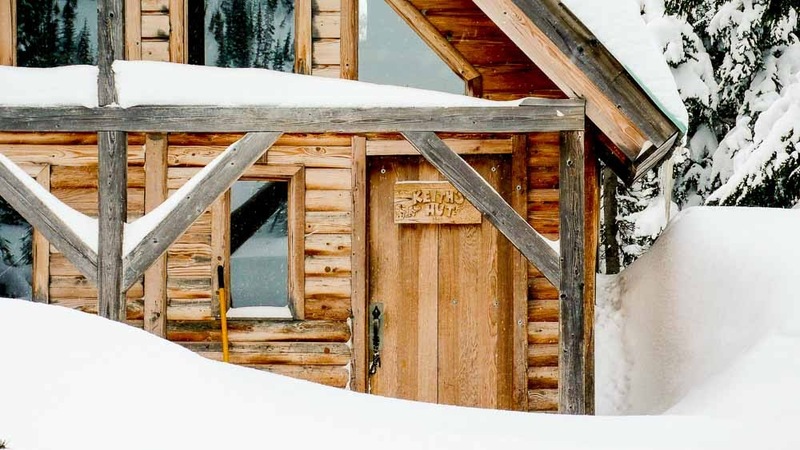 The 600 square foot cedar log hut sits by a tarn near tree line in the head of the fabulous Cerise Creek valley providing shelter and access to the limitless climbing and skiing potential. There is a Hut logbook available for all to sign and post comments. Each logbook only lasts a year or so as they are brimming with testimonials appreciating the existence of the hut, people’s life changing wilderness experiences, and the sheer joy of people young and old, expressing their opportunity to participate in a world greater than themselves. Typical mid winter evening. Cooking and eating by the heat of the wood stove. 2013 marked the 25th anniversary of the building of the Hut. It is holding up well considering the heavy use. 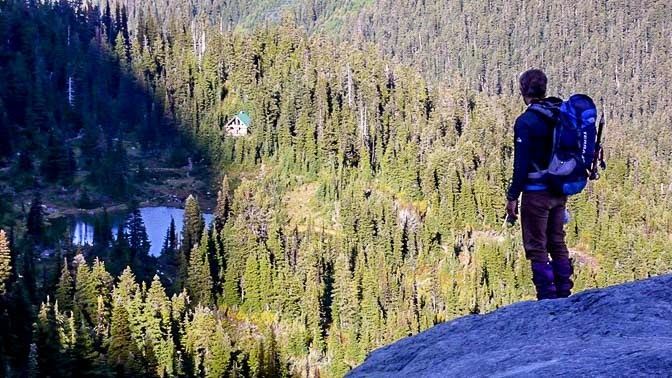 Partially due to the hut and popularity of the Cerise Creek valley that followed, there is a newly established BC Park – the Nlhaxten/Cerise Creek Wilderness Conservation area. Thankfully, the small Cerise Creek valley is now protected in perpetuity for low impact wilderness use. The loft sleeping area for 14 comfortably, except for snoring. 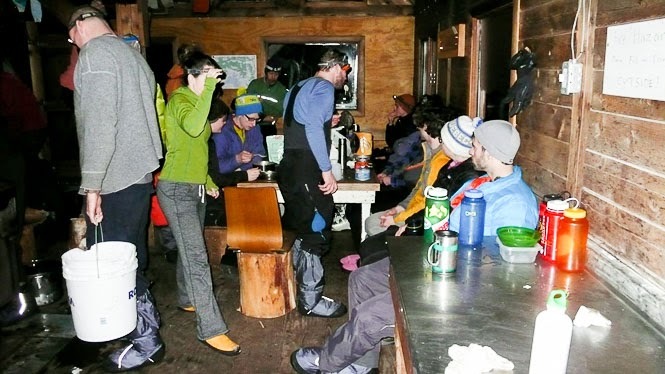 Every September for the past 25 years, numerous volunteers clean and repair the hut, dig outhouse holes, heli-sling, split and stack firewood, and prepare it for another winter season of heavy public use. BC Parks is relieved that we want to keep on maintaining the hut and trails with volunteers that we organize. Keith’s Hut on a mound by the tarn. View from the moraine crest. 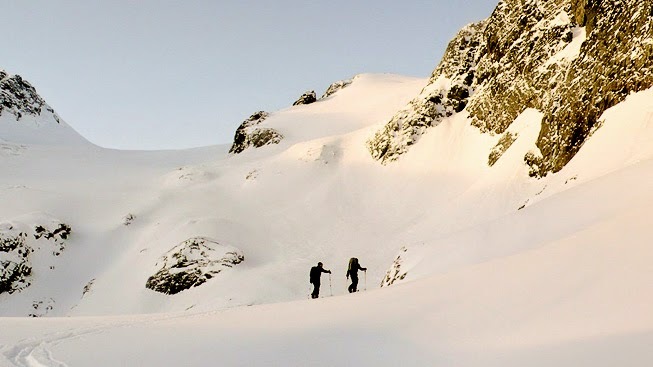 Head of Cerise Creek alpine area. Hut is marked. By far the biggest expense in the operation of the hut is the heli-slinging of firewood, and building materials. Blackcomb Aviation has been involved with the heli-slinging since the 1990 when we realized that we could no longer cut firewood near the cabin. It was simply not sustainable.